Join Lindsay as she interviews Christine Katas and Irene, an active member of the FLDS religion. Many people have escaped mainstream Mormonism simply through education of their religion to the followers . Think CES letter . Why isn’t there more of a concerted effort to educate these people on the only way out … truth ? This episode was amazing! i can’t wait to listen to part 2. I’m interested what the one change to the articles of faith is? Thanks for humanizing our FLDS brothers and sisters. It is amazing how similar all the Mormon groups are. Lindsay, I simply want to comment on your authenticity and sensitivity. I’m just finishing up this episode and have enjoyed it immensely. Irene is obviously a lovely woman and although I believe she has been indoctrinated in a way I find harmful, your conversation with her has helped me feel compassion and respect. Also, Christine sounds like an amazing woman. I’m anxious to hear more of her story. Looking forward to Part Two. This woman is clearly a beautiful woman of faith. Is Irene in the United Order? I really appreciate the perspective here. You can tell Irene is sincere and faithful. This certainly challenges me and brings up the questions of religious freedom. Thanks for this. Lots to think about. What a beautiful, thought-provoking episode. Please tell our FLDS brothers and sisters that we love them. Wow!! So glad she decided to be interviewed. Please tell her thank you on behalf of all of us. I think the other half of the story is entirely missing, covered up. Yes, $100 a month is cheap rent, but their obvious viewpoint is on principle. Why should they have to pay one penny per month for their own homes, seized by the state over a fantasy of mismanagement of the trust. But who’s trust, in the first place. Don’t trusts manage as they see fit? Always. And the only charge of mismanagement is in regard to apostates, in which case they no longer have any claim, according to the trust document itself, specifically stating their legal status as “”Tenants At Will””, meaning the church can ask them to swap or leave altogether at any time, without recourse. So that is the other half of the story, covered up. Of course, after seizing it for “”mismanagement”” (like saying if you don’t let enemies freeload on your own property, you are mismanaging it, which is not the case at all. Therefore, we the state/mainstream competing LDS church can steal it, then change it, and steal the entire FLDS community, and kick them out of their own homes. See, second side of the coin. Quite crucial to the whole issue to get that side of the issue and the crime covered up and buried. The FLDS has legal recourse, but they’re quite stupid. They just let “”defense counsels”” turn it over to the prosecution, with some subtlety of course, so they will keep paying but won’t notice the continual betrayal. Now having laid out the other half of the story, God allowed this gross injustice against them because of their family sexual lust and immorality, crimes against heaven and against themselves. That is where the real crime is. A few hundred mud houses is nothing. Perverts do not make it into heaven. They go to Hell (D&C 76:103, 106). So the Lord Himself sweeps them off the land, so that they lose their homes and their families, and thus be able to repent, in order to be free from that over-reaching crime against heaven and earth, against their temple bodies. 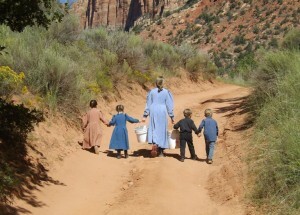 This works to fulfill the primary FLDS objective, “”The perfecting of a people for Zion””. That temple that is defiled, God will destroy (Gen. 2:17; 1 Cor. 3:16). Then, it is “”One wife only””, according to strict Mormon doctrine (BOM Jacob 2:27), or no wife or house at all, that they might come clean. Therein is the blessing and the purpose of God, through His ministers in government (Rom. 13:1-6). Kicking them out is the best remedy for weak souls subjected to sinning against God, and against His children and His law. It frees them up to reset and start over, start clean. This was very enjoyable to listen to. It seemed to be quite easy going for all involved. I think for an initial conversation with the FLDS it was great. Mother Irene seems like a very nice lady and I think this was a great conversation starter. 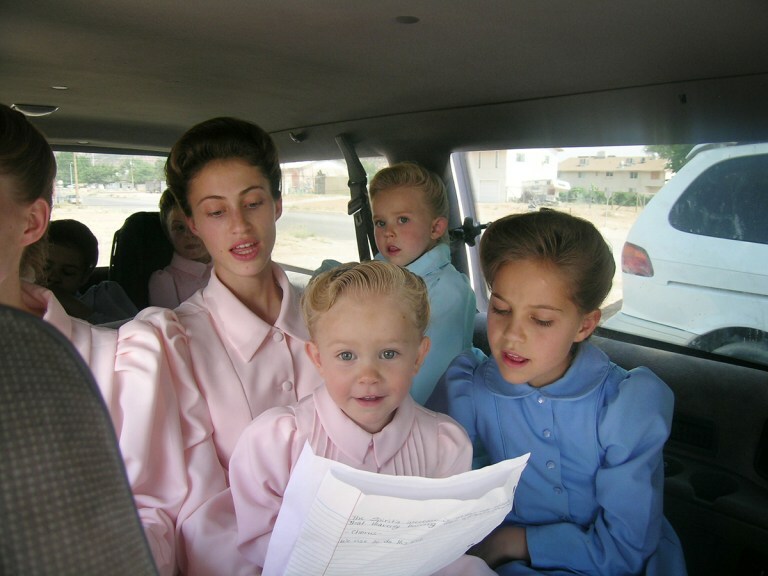 I think it’s important that the FLDS understand that there are many of us that wish them the best and are open to learn from them and their ways. I do hope she realizes the Board of Trustees aren’t the monsters she makes them out to be. I took exception to the comment about “You can always tell when someone is leaving.” That was unbelievably smug. I have talked to people who were literally forced into apostacy, who were not womanizers, druggies, etc., and tried to stay faithful.